Carol Gendler, born in New Haven, Connecticut, has created a legacy of community activism stronger than that of most Nebraska-born citizens. She joined Rotary Club of Omaha – West in 1998 and has worked with the various committees. She currently serves on the Omaha West Rotary Foundation. For almost a decade now, Carol has donated $5000 to the Paul Harris Fund as a match of $100 each with our individual members donations. Years ago, Carol completed a Masters degree in History at UNO and has used that knowledge to create a history of the local Jewish Community, in her work with the Douglas County Historical Society over the last 50 plus years, in the 14 years she served as Director of the Douglas County Law Library, and as a major donor to the Omaha World Herald digital library. Her OWH gift enables current historians the luxury of digital records instead of spending hours turning the crank of a microfilm reader. In 2006, Carol completed a historical account of our own Rotary club spanning 50 years. 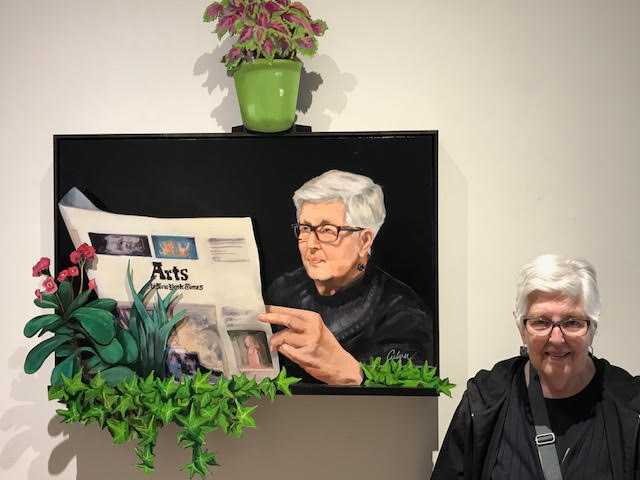 Besides the Omaha West Rotary Foundation board, Carol also serves on the Humanities Nebraska, the Bemis Center for Contemporary Arts, Heartland Family Service, Joslyn Art Museum, and the Legal Aid of Nebraska boards. 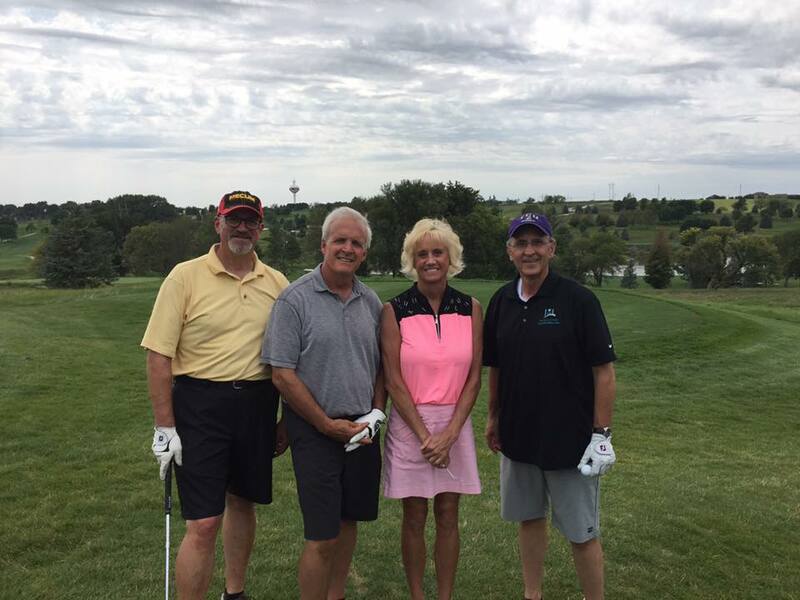 Many local civic organizations such as Lauritzen Gardens, NET Foundation and the Omaha Community Foundation benefit from Carol’s financial gifts. Rotarians are fortunate to have her talent, passion and generosity toward our local and international projects. Thank you to all those who worked on this event especially Chair Jim Otis and Vice Chair Ric Miller. We also thank all our volunteers, sponsors, and golfers. We will have an announcement on funds raised at the club in a couple of weeks. Be sure to see our photos on Facebook. Volunteers are needed to help the Rotary Information Committee clean out our storage unit to archive necessary items and shred others. Please contact Suzan Rohrig if you are interested in helping with this project. The Rotary Foundation provides matching grants every year for a service project. For the 2017 - 2018 year, 26 projects were approved for funding. These include $554 to the Ashland Rotary club, to purchase and install seating / picnic table near the electric car charging station by the City Park. 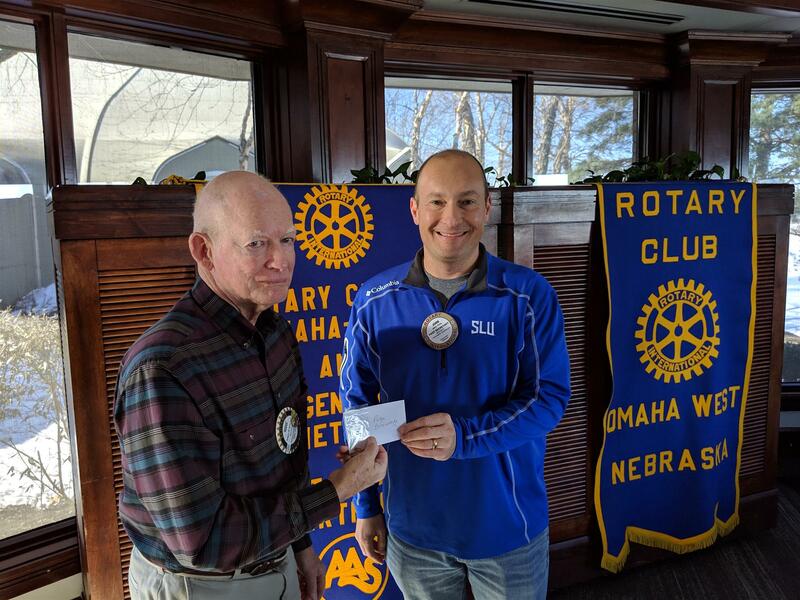 Also approved are $1,500 for the Beatrice Rotary club to provide materials and assist in building an outdoor classroom for the Beatrice Community Preschool, and $1,500 for the Bellevue Papillion Rotary to support the Magdalene House for women experiencing violence, prostitution and addiction, to maintain the house and purchase items for the residents. A full list of projects that received grants in our Rotary district (Eastern Nebraska and Western Iowa) can be found here. If you have idea for a project that the Omaha West Rotary club can support, please contact us! Project proposals need to be developed in the fall and early winter, then go through an approval process in the spring. Funding is finalized in late May for the upcoming year. Congratulations to Rodge Bickerstaff who was recognized for 11 years of perfect attendance two weeks ago by John Philo. All members should have received a 17/18 Dues invoice via email last week. If not, please contact the office. Your assistance in paying your dues as soon as possible is greatly appreciated as we need to pay Rotary International on your behalf on July 1st. Effective immediately, the price for a meeting will be $7 and meeting and lunch will be $16. This is due to the increases from Champions. We ask all members to serve on at least one committee (but you are welcome to serve on several) . Brett Wawers introduced new member Ric Miller. Ric is the the Fund Development Director for Outlook Nebraska, Inc.
ClubRunner Mobile App is available for download! 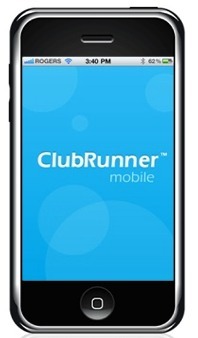 This app is a free download from the Apple App Store or from Google Play, simply type in 'ClubRunner' in the search bar. The app is compatible with all versions of the iPhone, iPad and iPod Touch sets that have iOS 8.0 or later and with versions of Anrdoids that are 4.0.3 or better. You will need the username and password you use for the website. Contact Vickie if you need your login information. The ClubRunner Mobile app allows you to to view your member directory, contact your members and executives, read the latest articles posted to your website, and even learn more about your upcoming events and speakers, right from your smartphone or tablet! Speaker suggestions are welcomed from members. Contact Jennifer at the Rotary office if you have heard an interesting speaker or have a topic of interest to suggest.